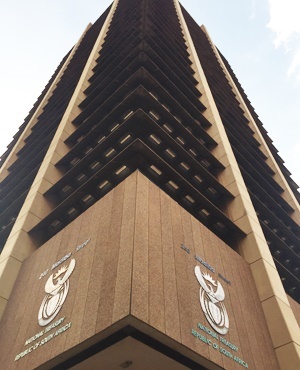 Senior National Treasury executives are at war as one bureaucrat has sanctioned a controversial R3 billion contract which two of her colleagues have rejected, arguing that proper tender processes should be followed instead. Documents in City Press’ possession indicate that in May, Treasury’s acting Accountant-General, Zanele Mxunyelwa, sanctioned a R3 billion tender for broadband across the Eastern Cape. Mxunyelwa wrote to Eastern Cape director-general Marion Mbina-Mthembu, saying she found nothing wrong with how the province went about appointing Liquid Telecom to deliver broadband in 2 700 sites across the province. But Mxunyelwa’s letter stands in stark contradiction to two opinions from senior Treasury procurement executives Schalk Human and Willie Mathebula. In a letter in November last year, Mathebula, Treasury’s acting Chief Procurement Officer, warned Mbina-Mthembu not to “piggyback” on a contract that the State Information Technology Agency (Sita) signed with Liquid Telecom to roll out broadband in the Western Cape. He advised Mbina-Mthembu to procure the broadband through a public tender. Correspondence between Sita, Treasury and the provincial government also shows that in a meeting with Mbina-Mthembu’s office in March last year, Human also advised her to go out on public tender. Both Mxunyelwa and Mathebula are deputy directors-general, appointed by former finance minister Malusi Gigaba a year ago. To save costs and time, Treasury allows piggybacking, which permits government entities to appoint a company already contracted by another department to deliver the same services, at the same cost and terms and conditions, without going out to tender. However, Mxunyelwa’s correspondence came six months after Mathebula rejected Mbina-Mthembu’s request to deviate from normal tender procedures. Mathebula wrote to Mbina-Mthembu denying her permission to deviate, saying “the scope and scale” of the broadband project “warrants an open competitive bidding process”. “It is extremely difficult for National Treasury to grant approval to dispense with open competitive procurement processes in terms of Treasury regulations,” he wrote. The documents also show that the provincial government had already signed a contract with Liquid Telecom a month before Mathebula rejected Mbina-Mthembu’s request to deviate from procurement rules. “The Western Cape tender is worth R3.9 billion over 10 years and everything was fully priced from day one. They have connected 1 875 sites which are already live. In the four years, they have paid Liquid Telecom about R310 million. “The Eastern Cape contract is quite different. It has a R228 million upfront payment and other milestone payments, all amounting to R1 billion, which are not linked to anything. After a year the province has paid R180 million and has connected just three sites, none of which are live. “The Western Cape contract includes telephony; this doesn’t. Their internet will be quite fast. It starts at 100 megabytes per second, increasing to one gigabyte per second. This will start at 10MB per second, increasing to 100MB per second,” he said. Sita wrote to Treasury director-general Dondo Mogajane, asking him to clarify who, between Mathebula and Mxunyelwa, was responsible for procurement and deviations. In a letter to Mogajane last month, Sita’s chief executive Setumo Mohapi also threatened to subpoena both Mathebula and Mxunyelwa to give evidence in court. In March, Sita dragged the Eastern Cape government to the Bhisho High Court, seeking to have the contract between the province and Liquid Telecom cancelled. In court papers, Mohapi argued that the province had not involved Sita, as required by law, when it signed the multibillion-rand contract, and that the provincial government’s decision to “piggyback” on Sita and Liquid Telecoms’ Western Cape contract was flawed. He told Mogajane that Treasury would be embarrassed should he make good on his threat to subpoena Mxunyelwa and Mathebula. Sita’s case against the Eastern Cape provincial government was heard three weeks ago and judgment was reserved. However, in April the National Prosecuting Authority (NPA) secured a preliminary preservation order against Liquid Telecom. The court granted the NPA an order to preserve R118 million of the company’s assets, which the Eastern Cape government said it had already paid the company in three tranches between December and February. But the NPA later withdrew the application. In her application for the preservation order, Eastern Cape deputy prosecutions head Nicole Peters argued that the contract between Sita and the province was “unconstitutional and unlawful”. “The Eastern Cape could not have been piggybacking on the Western Cape contract as it needed the National Treasury and Sita’s written consent,” she said, adding that “the great lengths to which the provincial government broke the law to conclude and effect payments on an unlawful contract raise suspicion of corruption, especially defying the directions of National Treasury, which, by law, is the custodian of all public procurement policies”. NPA provincial spokesperson Tsepo Ndwalaza said the preservation order was abandoned “after careful consideration of the merits of the case and prospects of civil forfeiture success”. However, in court papers, Mbina-Mthembu hit back at Sita, arguing that the province had complied, and used Mxunyelwa’s letter to argue that Treasury gave them permission to piggyback. Mbina-Mthembu also accused Sita of incompetence, claiming that it “failed to progress the procurement process in any meaningful way and when asked for proposals and the roll-out of broadband, it failed to do so”. She also said Sita’s quotation, sourced from Telkom, was “prohibitively expensive” and its processes were plagued by inexplicable delays and failures. She insisted that the province was not legally obliged to seek approval from Treasury or Sita. In a written statement, a Treasury spokesman said Sita CEO Mohapi consented to the Eastern Cape’s piggybacking. “The Eastern Cape government sought and got, Sita’s approval to participate in a contract that Sita had negotiated for the Western Cape government. Provincial government spokesperson Sonwabo Mbananga declined to comment, saying the matter was before court. Liquid Telecom spokesperson Carrie Daly said Treasury was asked to review the award of the contract and that the finance ministry was happy with all processes followed when the company was appointed. She also used Mxunyelwa’s letter as proof that Treasury was happy with the project. “Liquid Telecom did not receive any upfront payment. All payments received have been for work performed, with delivery reviewed and approved by the provincial government and the value thereof confirmed. Only after that were invoices generated and submitted for payment,” she said.